Shafqat & Adil Jee Catering & Tent Service provides catering and tent service. It also provides waiter service. 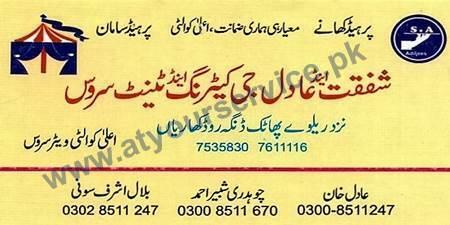 Shafqat & Adil Jee Catering & Tent Service is located on Dinga Road, Kharian. It provides catering and tent service. It also provides waiter service.